Blue Screens of Death QR codes is new hidden addition in Windows 10 Anniversary Update, spotted by some user in Redstone build 14316. Windows has its own version of these sorts of crashes, once called the black screen of death (BSOD). If you encounter the “Blue Screen of Death” when you use Windows 10, you might also see a QR code show up in the future. Microsoft is quietly testing the addition of QR codes for at least a few Windows 10 users. Users could use a smartphone and scan the code, which can then take the user to a specific support page. They could get more info on the error and troubleshoot their PC to find out what caused the crash and prevent it from happening again. 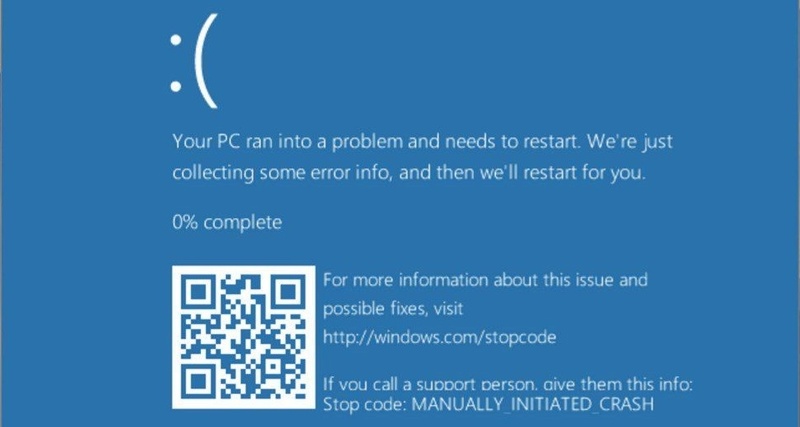 Such a Blue Screens of Death QR codes, combined in a BSOD alert, could make finding and fixing a Windows 10 issue much faster. There’s no word on when Microsoft might add this new feature for all Windows 10 users.